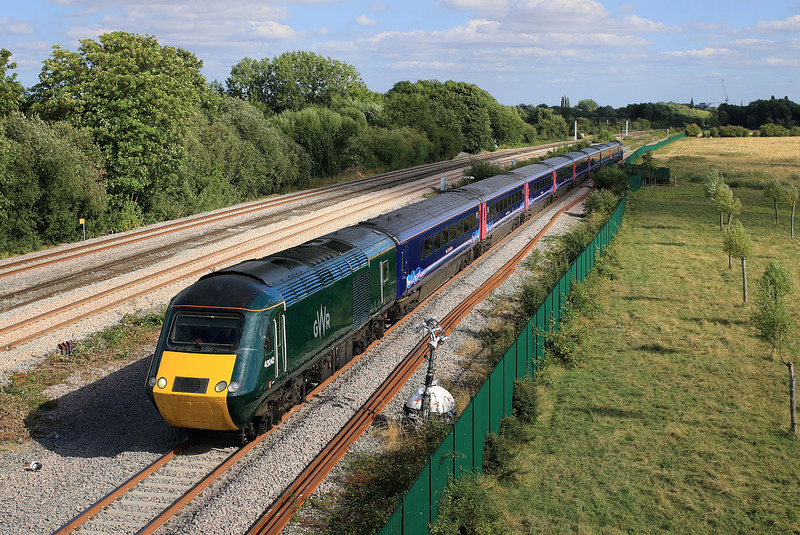 43042 runs along the new down relief line at Wolvercote on 2 August 2018 with the late running 1W32 15:50 Paddington to Moreton-in-Marsh GWR service. The new line follows the course of the old wartime relief line. The track was reinstated in 2016, and then almost immediately lifted again! A mere six years after work started on the project, speedy Network Rail finally commissioned the line, as part of a much improved track layout through Oxford in July 2018.